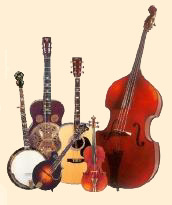 Links to web sites for bluegrass artists, promoters, associations, venues, etc. This is by no means a comprehensive list; rather it reflects mostly artists I have seen plus a few icons, and festivals I've attended or other west coast festivals. Please report any non-working links to the webmaster.